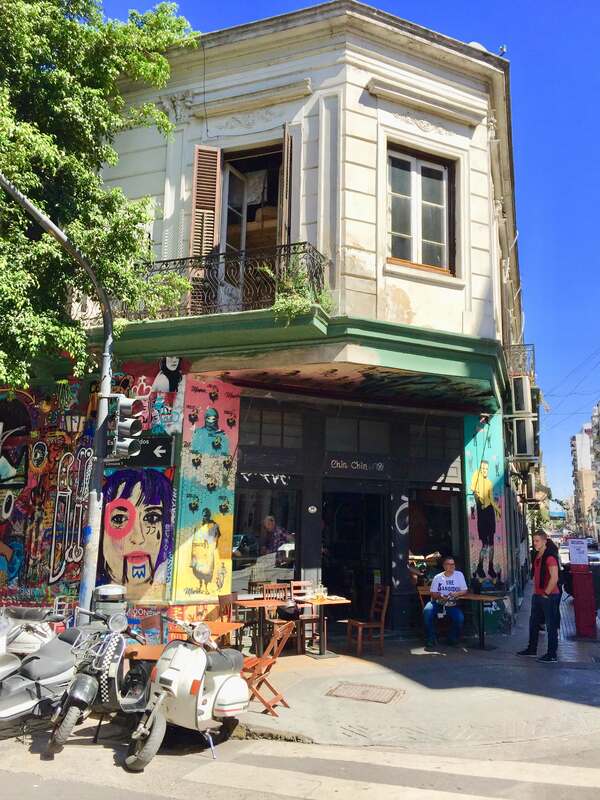 As cities consider the challenge of creating growth ecosystems that are inclusive of diverse communities and neighborhoods, Buenos Aires offers an approach that creatively combines community engagement, strategic private sector outreach, and geographic targeting to help catalyze renewed interest and investment in communities that are economically underdeveloped. Led by the Ministry of Modernization, and supported through the passage of city ordinances, the government has developed discrete economic districts, each of which celebrates a particular theme that is consistent with the neighborhood’s character. So far, the city has designated five themed ecosystems: the Technological District; the Arts District; the AudioVisual District; the Design District; and the Sports District. In tandem with each official designation, the city has recruited key businesses and packaged incentives for industries to add to, and build upon, the neighborhood’s character by locating their services and workforce within the district boundaries. These areas were left behind socially and economically, and we’re now working to revitalize and sustain them using local engagement and strategic industries as the core pillars. Using a co-creation process, the city works directly with the communities to plan a theme and recruit industries that match services with existing talent within the district and surrounding areas. The city defines “strategic industries” as those that (1) are environmentally friendly; (2) have international reach; (3) add value to the economy; (4) and generate immediate employment opportunities. Applying this approach in underdeveloped neighborhoods, primarily in the southern areas of Buenos Aires, has had the secondary benefit of reviving less industrialized areas and making them more economically competitive in a way that’s inclusive of local communities and workers. As cities experience growth, the attendant economic benefits do not organically spread across populations equitably. Businesses often cluster in commercial centers, which can limit can limit economic stimulus to small geographic areas, leaving other communities feeling left behind or disempowered. Densely concentrated economic centers may also create divides between different geographic segments of a city, potentially resulting in tensions between communities with access to economic opportunity and those communities that lack such access. In the absence of industry investment and development, communities removed from economic growth can suffer negative consequences resulting from fewer employment opportunities. And conversely, when industries enter new communities without public consultation or clearly defined strategic plans, the result can be disruptive to the local ecosystem, resulting in gentrification and community mistrust of commercial businesses. The primary goal of this initiative is to foster growth by clustering strategic industries into carefully selected areas. Using a co-creation process, the city works directly with the communities to plan a theme and recruit industries that match services with existing talent within the district and surrounding areas. The city defines “strategic industries” as those that (1) are environmentally friendly; (2) have international reach; (3) add value to the economy; (4) and generate immediate employment opportunities. Tax Incentives: economic incentives and tools to promote and drive competitiveness in the districts. Infrastructure: major public works programs to redress inequalities in infrastructure and transport connectivity. Public Spaces: the recovery of public areas as community spaces for recreation and socialization. Social Capital: cultivating strong involvement in and consensus for the project among local businesses, civil society, educational institutions and other community stakeholders. Urban Complexity: extending value to a diversity of economic interests in these areas. Cumulatively, this approach seeks to create new opportunities for residents and businesses within the district, while simultaneously incentivizing workers and industries from beyond the district. Examining the Technology District as the premier use case, the area is now home to more than 250 companies from industries including electronic commerce, tourism, auditing, telecommunications, process consulting, civil engineering and financial services, and has also attracted the presence of leading academic institutions such as a campus of Instituto Tecnológico Buenos Aires (ITBA), the prestigious engineering university, and an outpost for the the University of El Salvador. For companies, the neighborhood is reaching a saturation point in terms of office space and vacancies, despite the fact that in the first half of 2017, developers added more than 32,000 square meters. Technology District: 288 participating companies; 238,650 square meters of commercial space; 18,504 jobs; more than $310 million invested locally. Audiovisual District: 303 participating companies; 82,111 square meters of commercial space; 10,576 jobs; more than $10.3 million invested locally. Design District: 44 participating companies; 74,217 square meters of commercial space; 1,576 jobs; more than $11.7 million invested locally. Arts District: 49 participating companies; 63,328 square meters of commercial space; 3,226 jobs; more than $170 million invested locally. In addition, a Sports District is currently in development to promote the activities of the production and sports industry. Located in Commune 8 and surrounding neighborhoods, the area already has a favorable profile for sports and related activities, due to the abundance of green spaces and because it is the "Olympic commune" where most of the competitions will be concentrated during the Olympic Youth Games in October 2018. Minimizing friction between new development and established residents is an important consideration for these types of initiatives. Buenos Aires has tried to incorporate the existing traits of these neighborhoods as a means of minimizing the disruption that could result from an influx of growth or commercial development. Cities should be attentive to these types of strategies - as well as opportunities to directly engage residents in the process of designating an economic district - to mitigate the risk of tension among current residents. Cities should be thoughtful about the metrics that will be used for assessing the impact of district designations. Because these initiatives may take years to fully implement, it is important to have a clear understanding of how progress will be measured. Investments in Philadelphia’s Center City and University City Districts are being proposed as a means of expanding economic growth and innovation throughout the region. As Philadelphia currently lies within the top ten US cities on the basis of research expenditures (public and academic), the city government is undertaking measures to leverage those strengths to increase investment in ventures that have the potential to strengthen human capital and economic development within the city. As a means of propelling innovations, an Innovation Council and a taskforce are being implemented to foster industry diversity and to help fast-track growth. The University of Pennsylvania, Drexel University, and eight other leading institutions have poured funding into the creation of the Precision Medicine Catalyst Initiative, a body that allocates resources to propel research initiatives within the district, which has led to increased interest in the district from businesses like Amazon. City leaders ultimately hope that these investments will allow for individuals from all neighborhoods to become contributory members of these innovation districts.